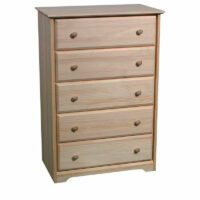 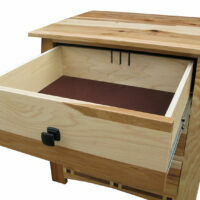 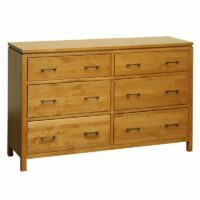 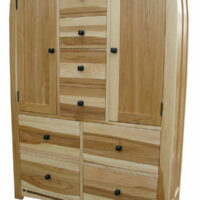 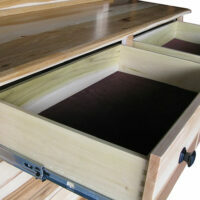 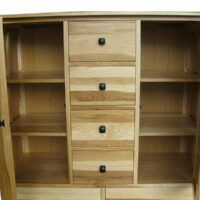 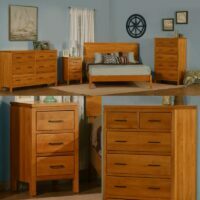 All wood bedrooms, cabinet beds, Murphy beds, storage beds, nightstands dressers, chests, and armoires. 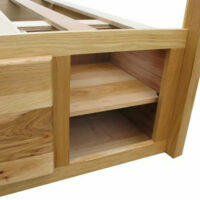 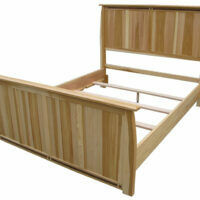 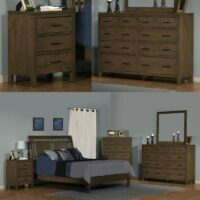 New in Bedrooms: Sodo Storage Bed Set! 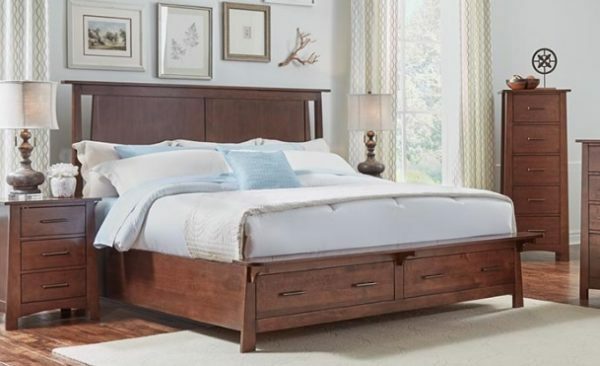 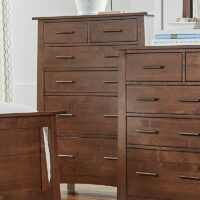 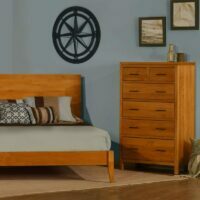 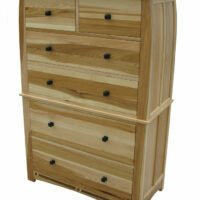 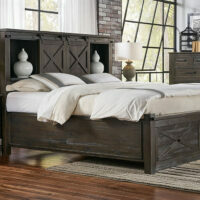 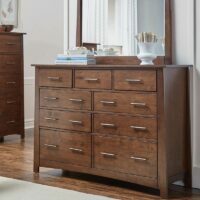 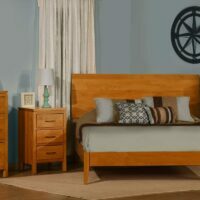 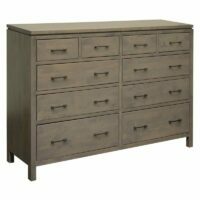 The 2 West Amish King Bedroom Set fuses contemporary styling with Amish craftsmanship. 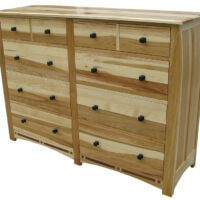 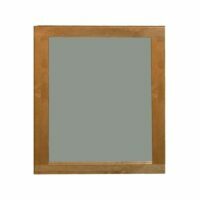 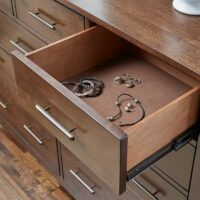 The entire collection is made from solid alder wood. 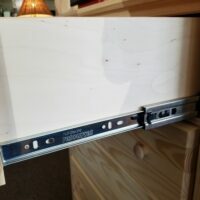 Absolutely no particle board is used. 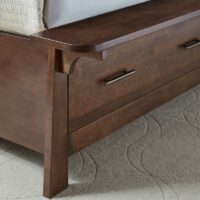 The 2 West Wide Nightstand is a contemporary Amish made piece that features a solid wood floating top that is one inch thick. 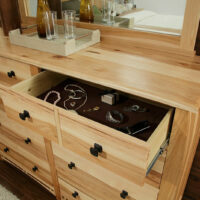 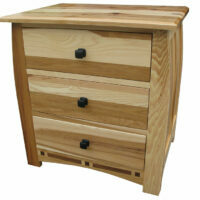 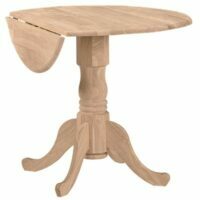 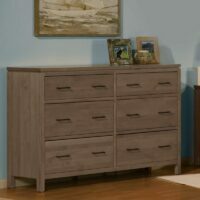 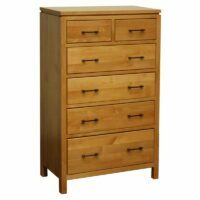 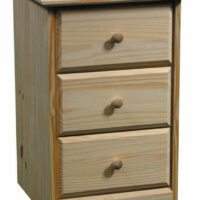 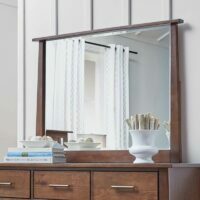 The 2 West Nightstand is a contemporary Amish made piece that features a solid wood floating top that is one inch thick. 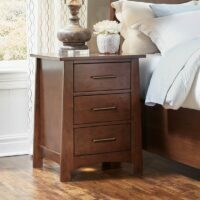 The 2 West Wide Nightstand is a contemporary Amish finished piece that features a solid wood floating top that is one inch thick. 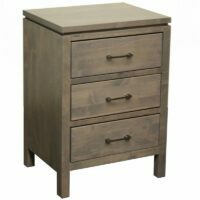 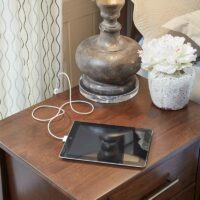 Solid Alder nightstand in a rich Sumatra Brown finish with three drawers and a built in USB charger.